Microdermabrasion is a non-surgical procedure which gently resurfaces the skin. Using medical grade mineral crystals, the diamond tip of the machine brushes the skin’s surface creating a gentle exfoliating vacuum. This process removes dead and damaged cells on the skin’s surface, promoting new skin cell growth and leaving a surface that is soft and supple. Microdermabrasion can be used to smooth the surface of your face, neck, chest, abdomen, arms, hands, buttocks, hips and legs. If you are looking for smoother, healthier skin then call us and ask about our complimentary skin consultations. We can assess your skin and identify any problem areas. Quick, painless and suitable for all skin types, microdermabrasion is great way to refresh the appearance of your skin without having to resort to more time-intensive and invasive procedures, such as deep chemical peels or laser treatment. Better yet, all our microdermabrasion treatments can be performed during pregnancy. While you can buy microdermabrasion kits to use at home, it is much safer and more effective if you receive treatment from a qualified beauty therapist. Whether you want a one-off treatment or ongoing sessions, the skilled team at Hope Island Beauty and Medispa can help. 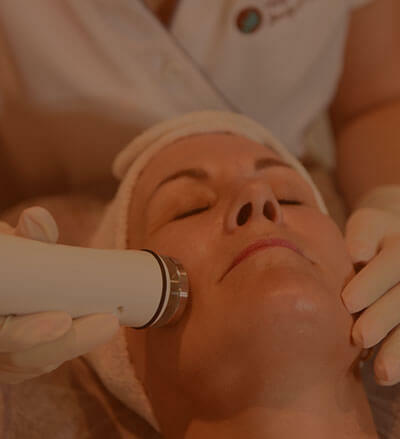 Our microdermabrasion treatments will instantly revitalise, to give you smoother, fresher and healthier looking skin.